RBC Marketing was my own corporate client direct agency. 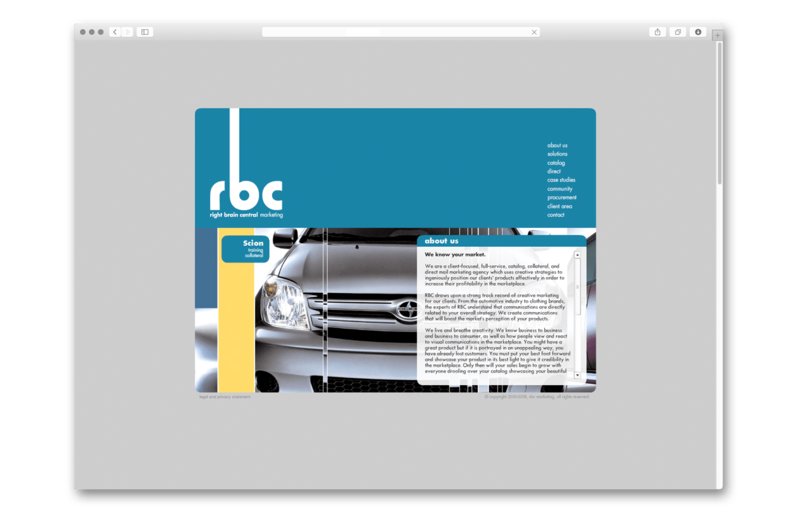 Created to bridge the gap between a limited freelance lone designer and an expensive full-size advertising and design agency, RBC provided all the strategic marketing know-how, creative resources and pre-established vendor relationships as a boutique agency, but without the high prices. The agency focused on direct mail and email blast marketing, as well as websites, catalogs, brochures and marketing collateral materials. It had clients locally, nationally and internationally. 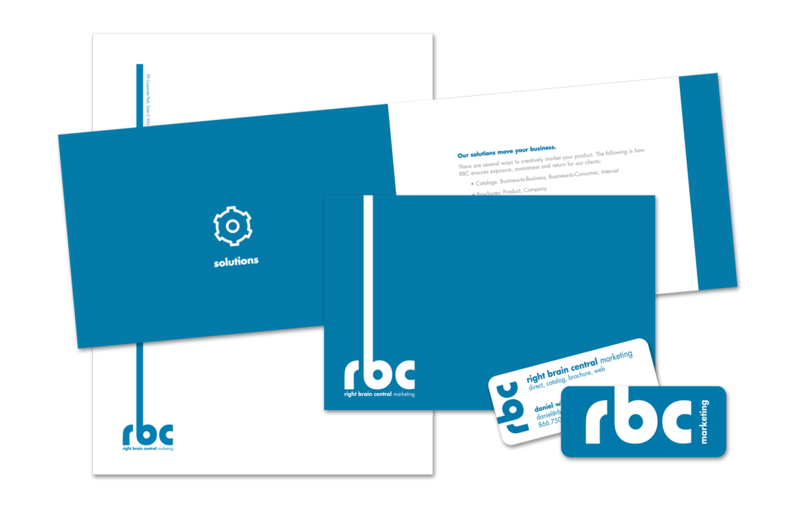 In order to showcase case studies and capabilities, RBC Marketing needed a hip, cleanly designed image for its identity and collateral, and an interactive website. It also needed an online portal for transferring files and proofs between clients and the agency. I designed a simple brochure along with collateral graphics that popped. I wrote straight- forward copy which described the capabilities and the benefits of direct mail and printed catalogs. The brochure also included a section for procurement of MBE (Minority Owned Business) services and case studies. The website is simple, clean and interactive, with rich photography and graphics. Clients gave feedback that the website and branding were more impressive than some full-size agency sites and brochures.